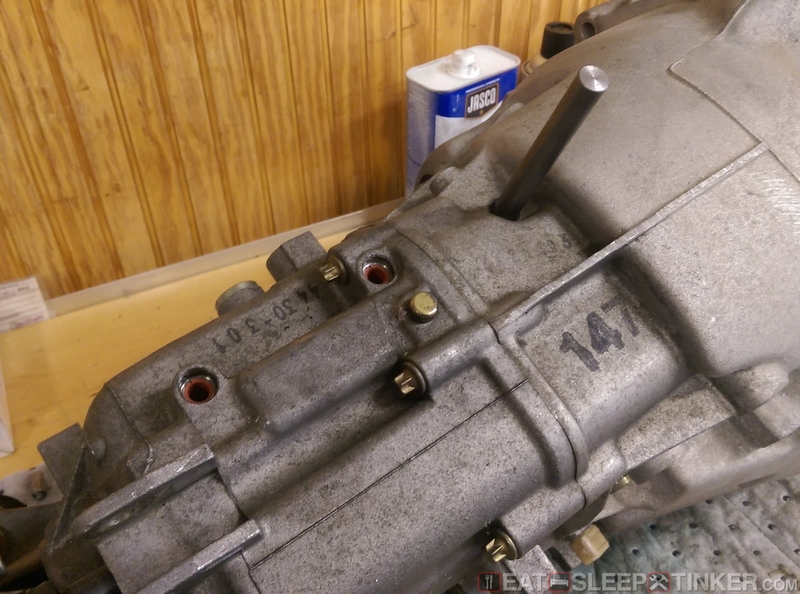 Eat, Sleep, Tinker.Spec E46 Build Part IV: Drivetrain - Eat, Sleep, Tinker. 1. Either the 5 or 6-speed E46 330 manual transmission may be used. 2. Flywheel and clutch assembly may be replaced provided they use the stock hydraulic actuating mechanism. Clutch must be a single disc type. 3. Shifter mechanism may be replaced or modified. 4. Motor and transmission mounts may be replaced. 5. 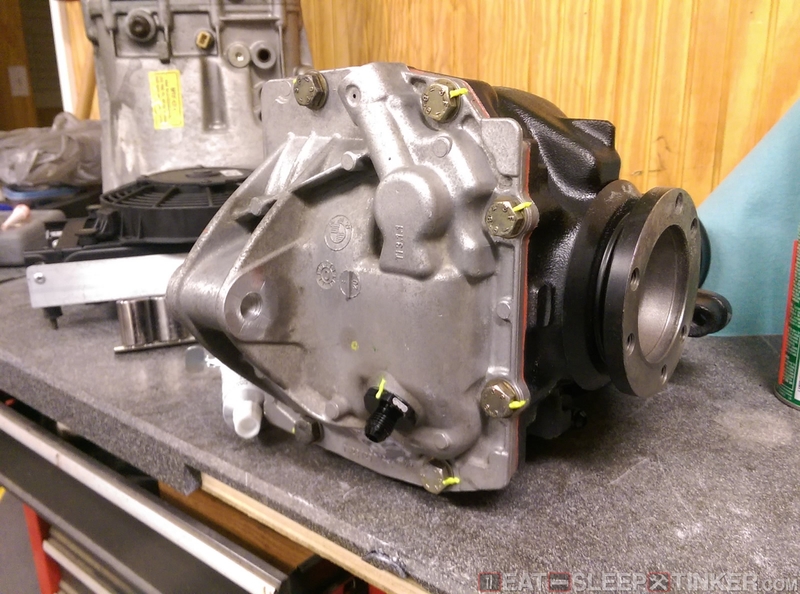 Upgraded differential is permitted using a 3.46 gear ratio, factory housing, flanges, and mounting points. The internal parts of the differential are otherwise unrestricted, including the use of limited slip units. 6. Finned and/or larger capacity differential cover may be used. 7. Differential bushings may be replaced. 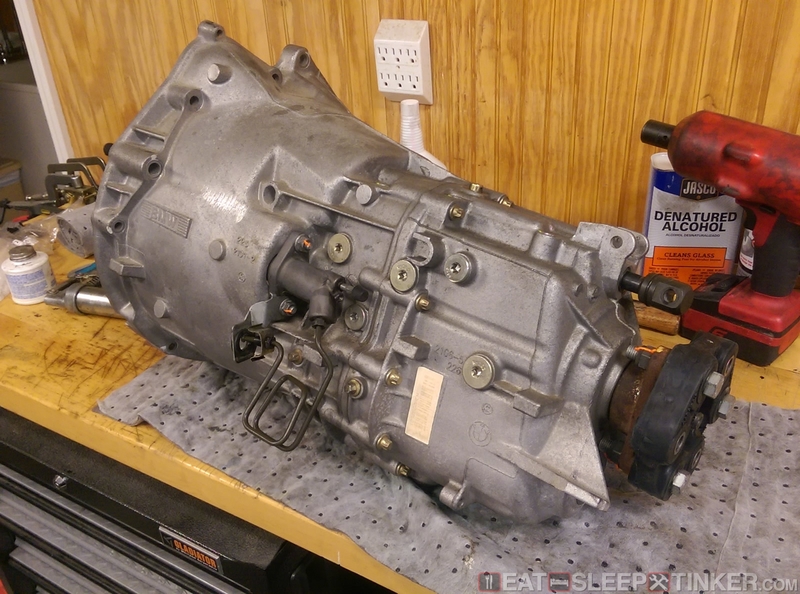 I already had a couple ZF320 5-speed boxes laying around, to include the one from the M Coupe that was removed during the upgrade to the 6-speed. Since it only had ~30k miles, I decided to donate it to the cause. Before installing it I decided to upgrade/replace the detents, which are known to begin sticking and causing shift issues like the 5th gear lean. The newer shift pin detent design has a coating to reduce friction and chances of binding. I won’t cover the how to, since I already have on on the site. I also replaced the weak plastic clutch pivot pin with a stainless steel one from Rogue Engineering. Clutch options are pretty wide open, as long as it is a single disc design. 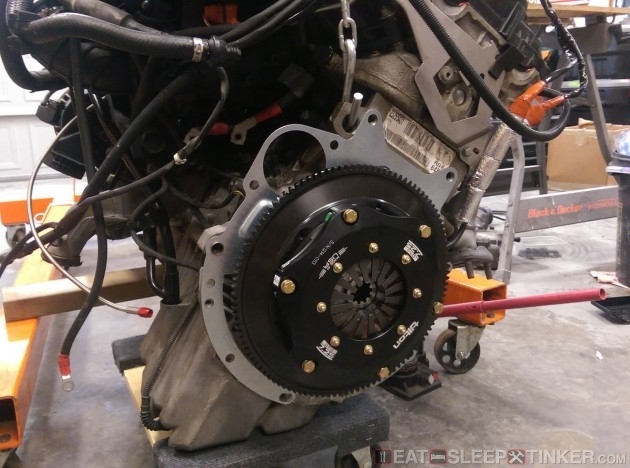 Rather than guess at what would be the best option, I went with what the majority of SE46ers are using, the Tilton flywheel/clutch combo. This package is super light at only 13.6 pounds, shaving 23 pounds over the stock dual mass unit. There’s not springs in the disc, so I would imagine this setup is best reserved for a true track car. The assembly has a very high quality feel to it, no stamped metal. The differential rules are open, as long as it is a 3.46 ratio. I went with a Diffsonline custom ramp and lock up setup. Certainly not cheap, but a quality piece. I also welded on a 1/8th NPT aluminum bung to the rear cover to add a temp sensor for the AiM MXL. The other fittings in the photo are for a differential cooler, which I’ll cover in another post. The rear subframe OE rubber bushings were removed and solid aluminum ones from Bimmerworld were installed to eliminate any driveline flex and movement in the suspension mounting points. They were very tight going in, freezing the bushings and heating the subframe certainly helped. While everything was pulled apart, I went ahead and also replaced the rear wheel bearings. Certainly not a fun job, though I found a generic FWD wheel bearing kit from Harbor Freight actually works quite well on E36/46 rear wheel bearings. The front bearings looked brand new, so I left them alone for the time being. I also replaced the original driveshaft, which had a lot of bearing play at the u-joints. 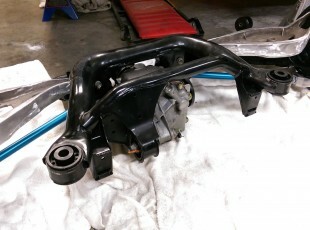 Rather than another OE junk yard shaft, I purchased a rebuildable unit from BimmerWorld. These driveshafts have snap rings retaining the u-joint caps rather than staked into place. It also comes with a new carrier bearing, which tend to wear out, especially on a 120k mile car. As for engine and transmission mounts, I decided to go with Rogue Engineering transmission mounts and BimmerWorld N Group replica mounts. Many SE46 builders are going solid aluminum on both mounts, but I have a few reservations about using a solid mount. Sure they eliminate any slop or misalignment that can occur with shifting, but that’s a lot of stress being carried directly to chassis. I was concerned with accelerated fatigue and possible issues with things like knock sensors. I’ve found the mount combination (N Group and RE) to be plenty stiff while still allowing the harsh vibrations to not create third order effects down the line.